We have three closely related tasty vodka cocktails here. The Sea Breeze, Bay Breeze and Cape Cod are all great sipping cocktails. Have a look at each and pick one, or all to make for your guests. Vodka pairs well with a few different sweet or sour mixes. Check out these three cocktail recipes below. The Cape Cod (as it is more widely known than the New England “codder” moniker) was highly popularized in the 1970′s/early 80′s by the TGI FRIDAYS chain. FRIDAYS served the “holy vodka trilogy” aka the cape cod (cranberry), the greyhound (grapefruit or the salty dog variant w/ grapefruit & a salted rim) and the sea breeze/Bay Breeze (cranberry/grapefruit). they were all the cosmopolitans of their day – lol! 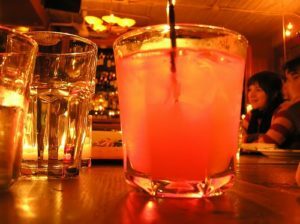 The Sea Breeze is one of many popular vodka and juice mixed drinks that every aspiring bartender should know. 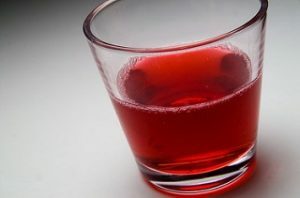 There are a few drinks that can be easily confused with the Sea Breeze: the Greyhound is grapefruit juice only, the Bay Breeze is pineapple and cranberry juices, and the Cape Codder is cranberry juice only. The Bay Breeze cocktail is often called the Downeaster or the Hawaiian Sea Breeze. This is a tropical cocktail which is also an official IBA cocktail. 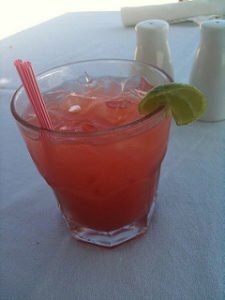 The Bay Breeze can also be made with grapefruit juice instead of pineapple juice, however you will notice that if using grapefruit… this would technically be called a Sea Breeze. Add Vodka, Cranberry Juice, And Pineapple Juice or (Grapefruit Juice) to cocktail shaker half filled with ice.